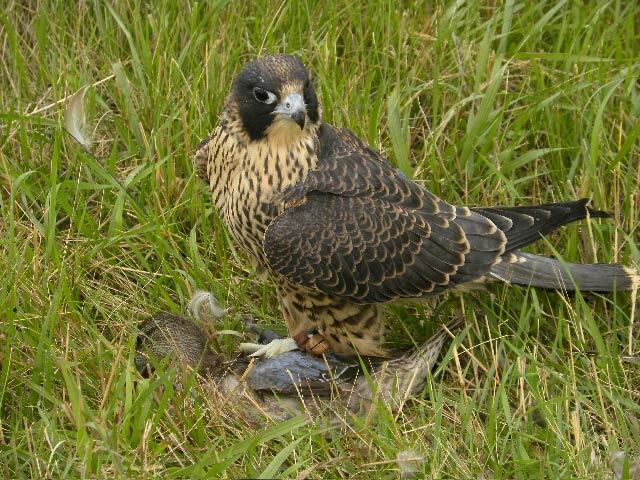 Our facility was created to produce and offer for sale top quality anatum peregrines for game hawking. We have limited our breeding stock to pure Canadian anatum peregrines from our own line of great hunting falcons. We have personally flown four generations of this line or have seen others flown originating from this successful line of peregrines. When you dedicate as much time to our birds and our sport why would you settle for anything less than the best?? We achieve this first by line breeding our falcons then raising and training them with our unique Tame Hacking process. 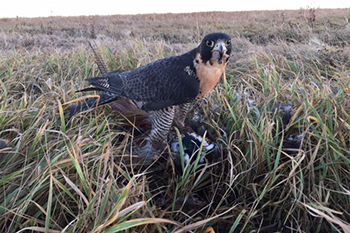 Thank You for considering a premium peregrine from Prairie Sky Falcons for you falconry needs. You won't be disappointed.